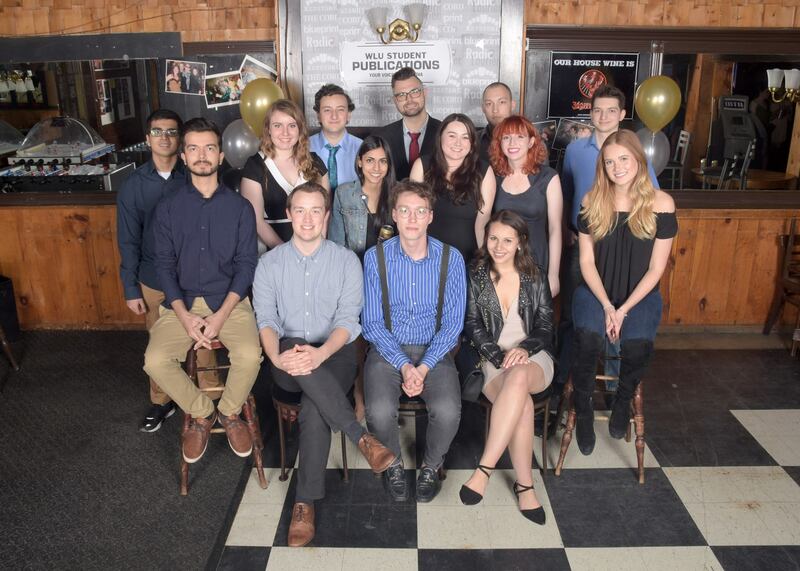 The Cord’s 2017-18 team would like to thank the Laurier community and all of our loyal readers! Be back soon! 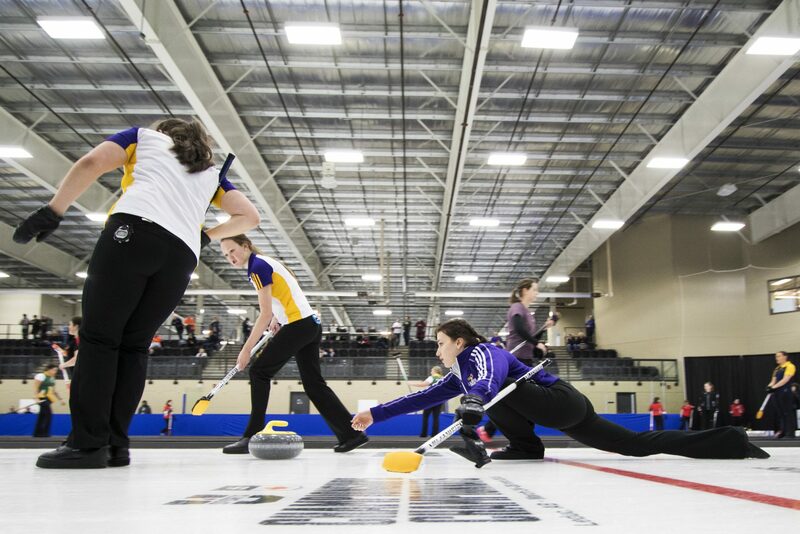 Wilfrid Laurier University women’s curling team recently represented the Golden Hawks at the U-Sports National Curling Championships in Leduc, Alberta. 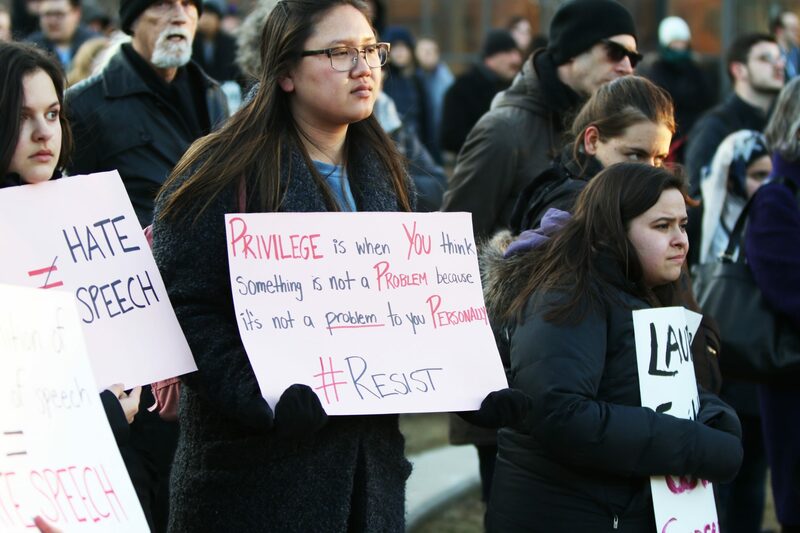 Protestors gathered in the Quad yesterday in order to respond to LSOI’s “Unpopular Opinion” speaker series. 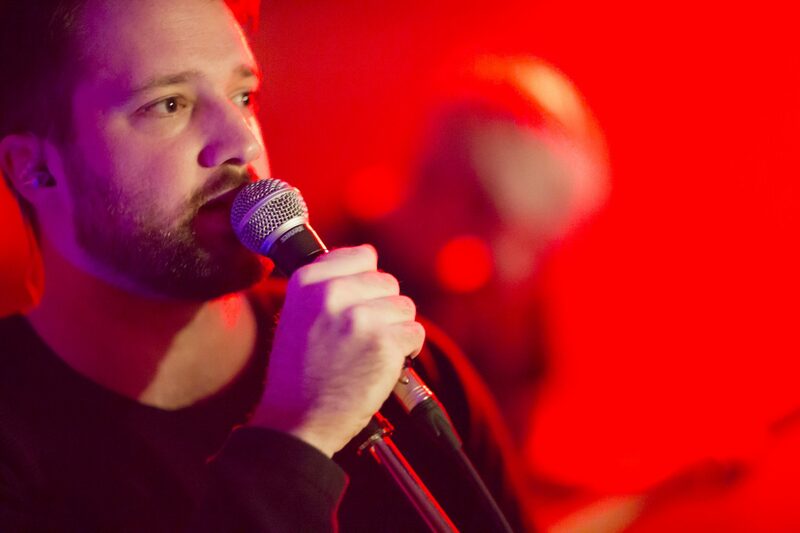 Jacob Scott performs with local band Sundiver at underground venue The Snake Pit for Burnaby’s cassingle release party on March 9, 2018. 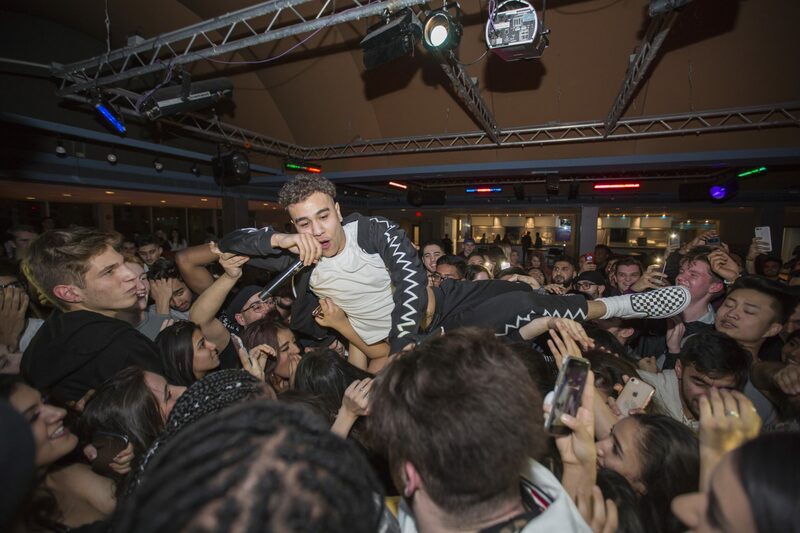 Ramriddlz gets up close and personal with some Golden Hawks during his recent performance at The Turret, which was presented by A-Team. 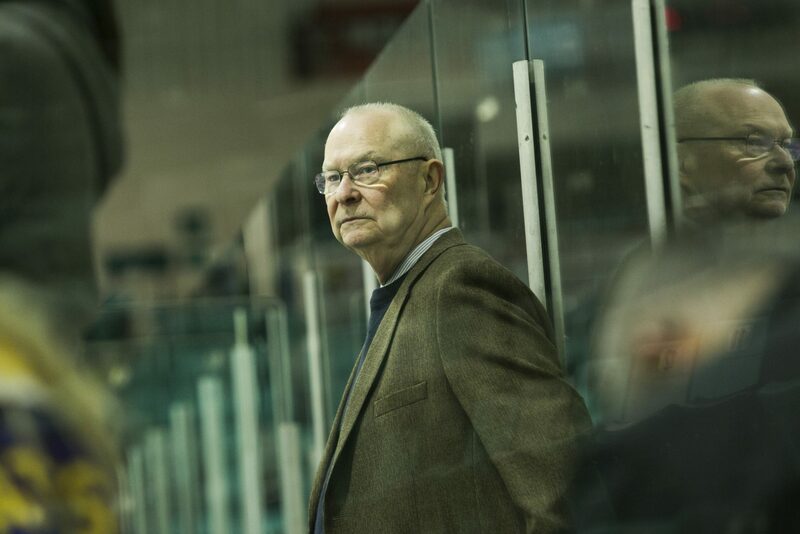 Rick Osborne looks on as he steers his team towards one final victory on home ice. 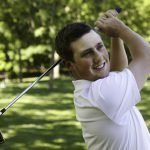 Osborne will be retiring at the end of the 2018/19 season. 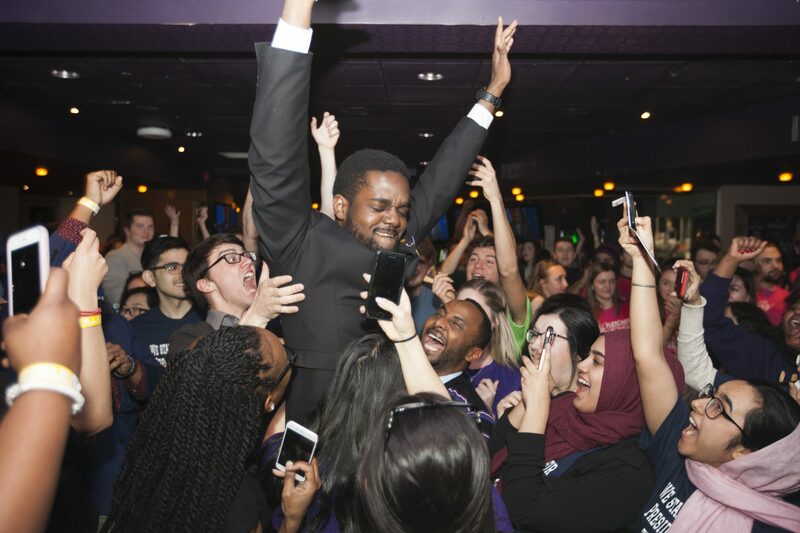 President-elect, Tarique Plummer, celebrates victory moments after the results from the Students’ Union’s 2018 election are announced at Wilf’s. 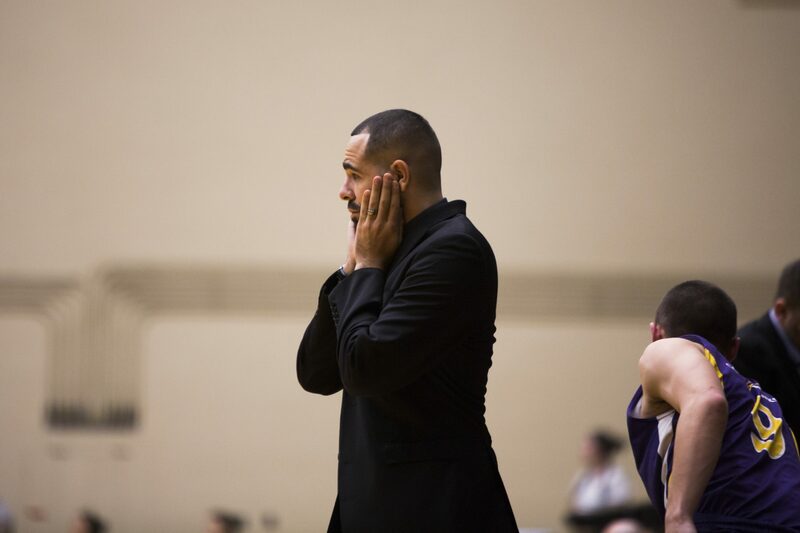 Wilfrid Laurier University men’s basketball head coach, Justin Serresse, looks on in suspense as his team moves to secure another pre-playoff victory. 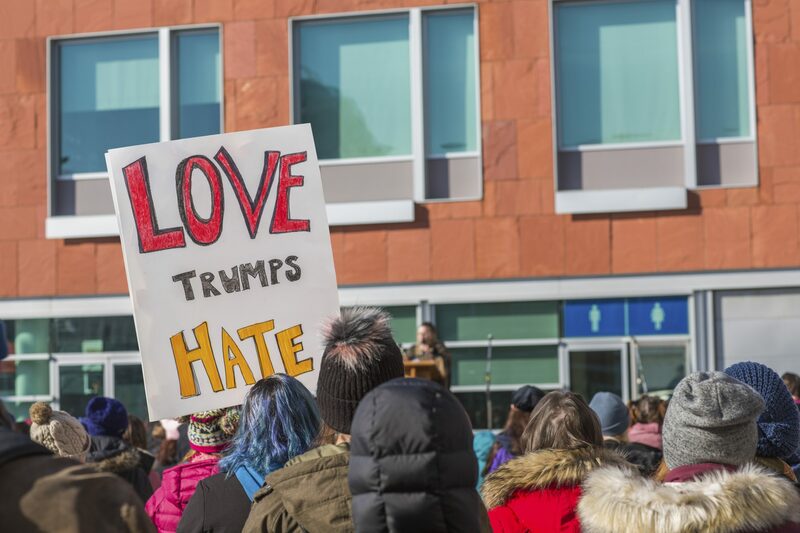 Roughly 500 individuals showed up for the Waterloo Region Women’s March that took place on Saturday, Jan. 20. and began at Carl Zehr Square. 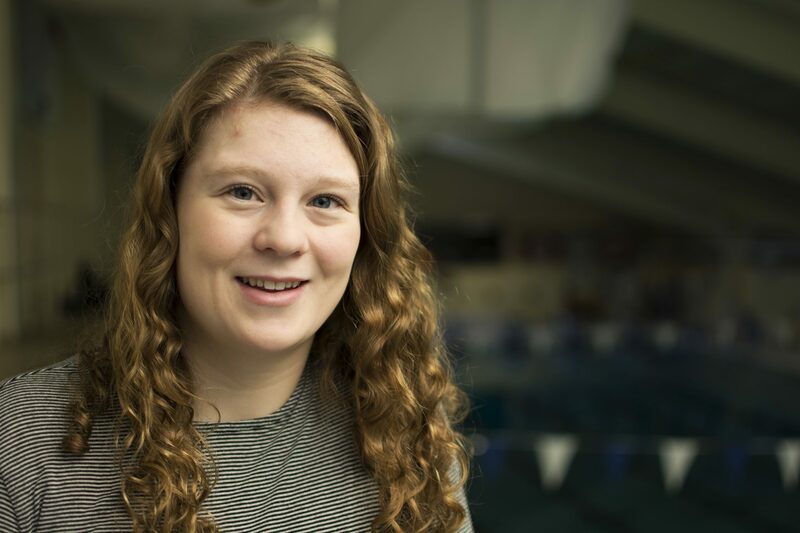 Second-year swimmer, Jasmine Raines, has set a strong tone for Laurier’s swim team over the past two seasons with her determination and dedication. 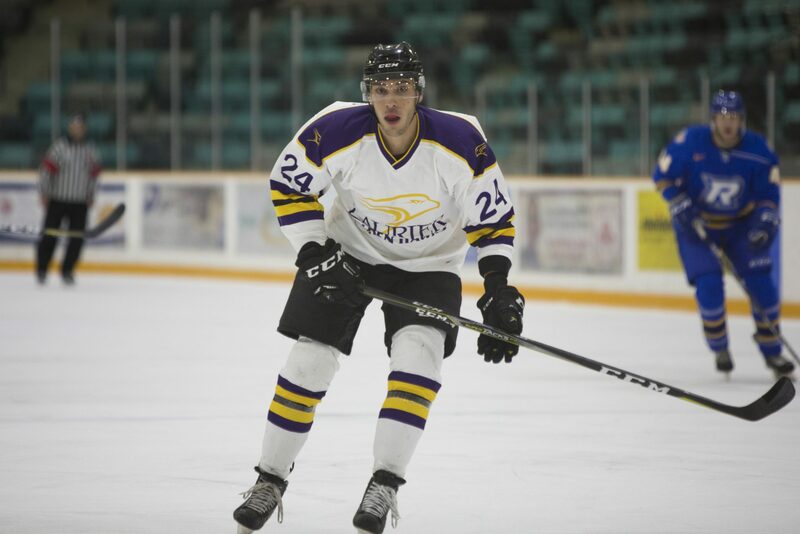 Anthony Sorrentino was the sole Golden Hawk to make it on the board as they faced off against Ryerson Rams in their first matchup of 2018. 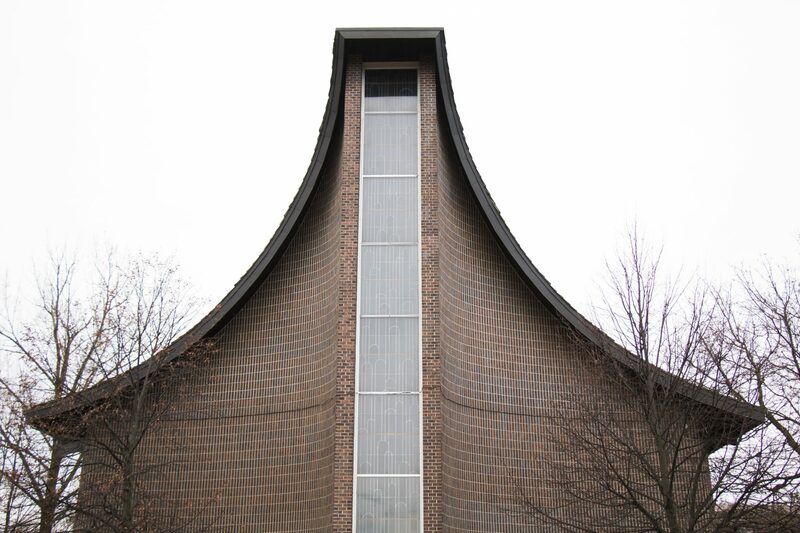 Church staff and community members at Parkminster United were shocked to discover that the church had been vandalised on Nov. 30. 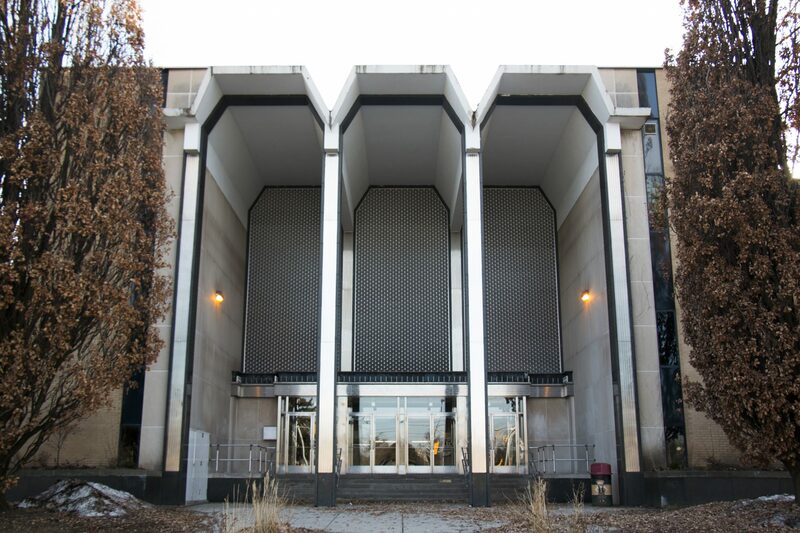 On Nov. 24, a large group of activists assembled for a free speech protest on Veteran’s Green. Counter-protesters held a silent vigil across the street. 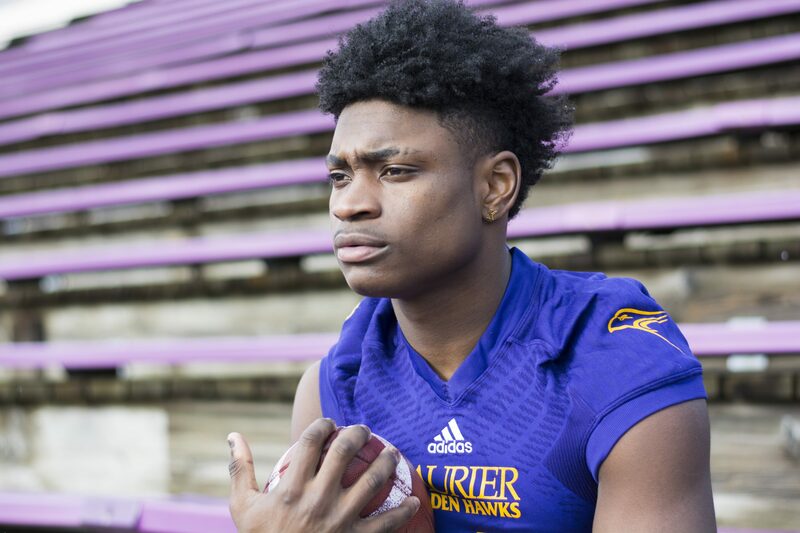 Golden Hawk, Kurleigh Gittens Jr. recently became the fifth person in Laurier football history to be named OUA MVP after a record setting season. 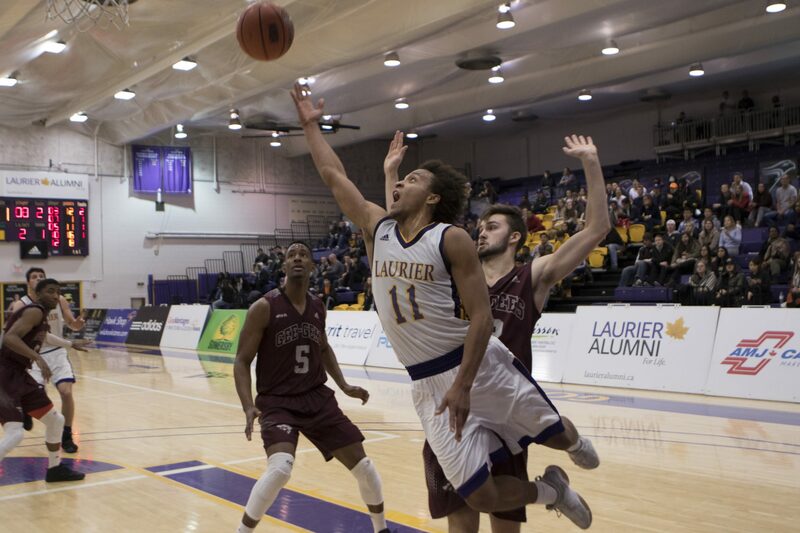 The Golden Hawks fight for the ball in their home opener against the University of Ottawa Gee-Gees. The Hawks ended up beating the Gee Gees 80-75. 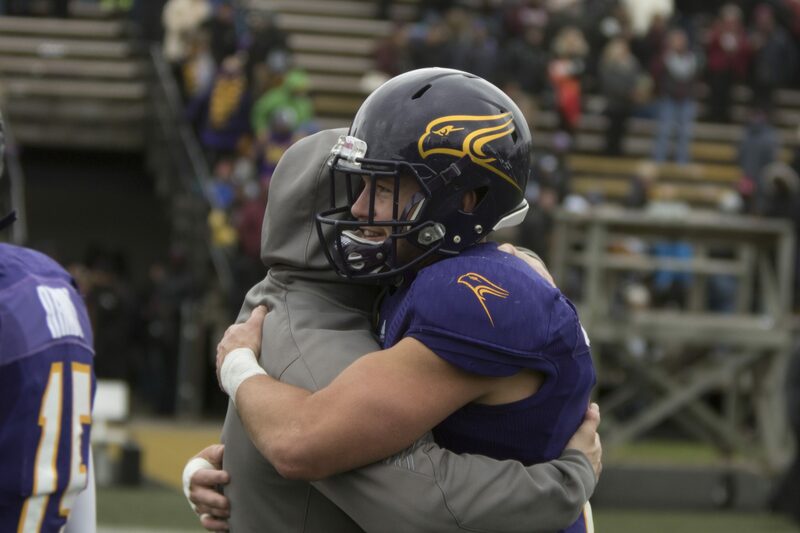 The Golden Hawks repeated last year’s exciting victory against McMaster and once again will be headed to a Yates Cup game hosted by Western. 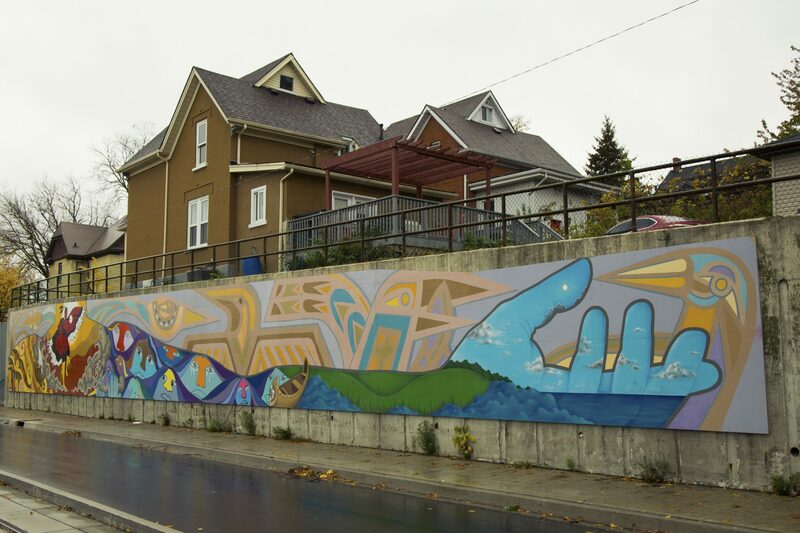 On Saturday, Oct. 28, Neruda Arts Canada officially revealed their Canada 150 mural, which is located on Charles Street, between Cedar and Cameron. 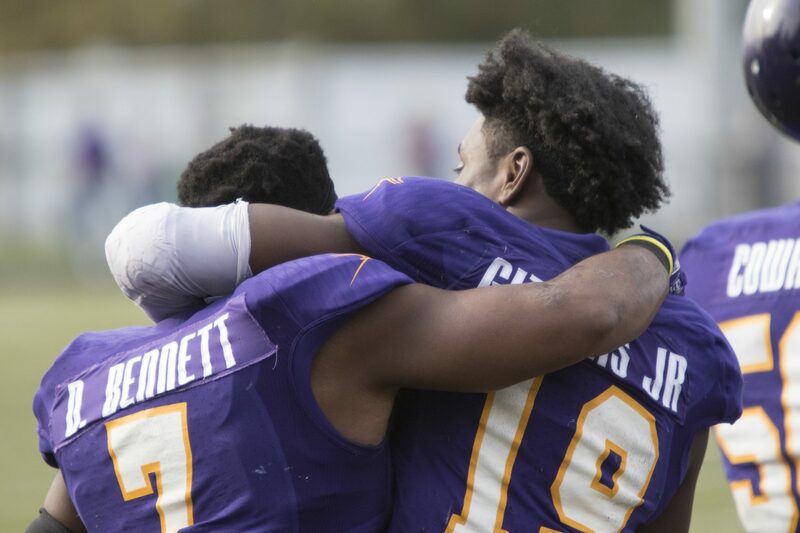 Kurleigh Gittens Jr. and Daniel Bennett celebrate the Golden Hawks recent victory against McMaster, where they earned a bye and broke three records. 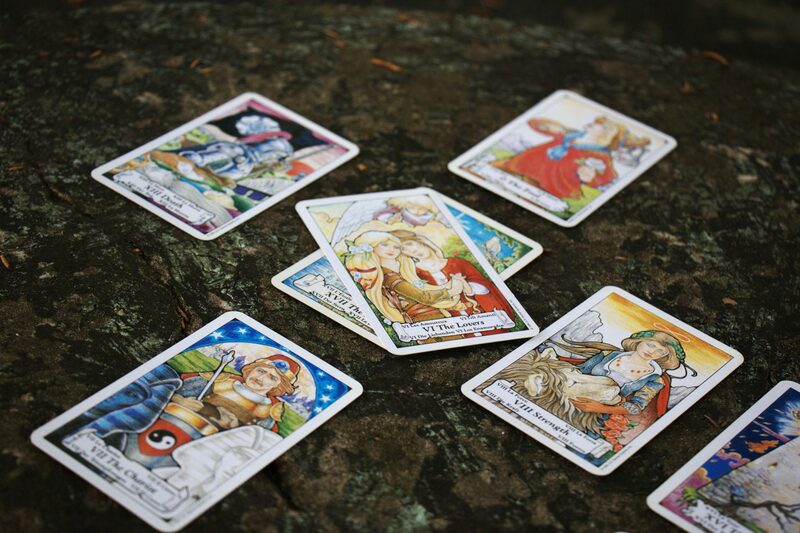 Tarot cards were among the many magical items present at Witchfest North 2017, an event that kicked off in Toronto Oct. 5 and continues to Halloween. 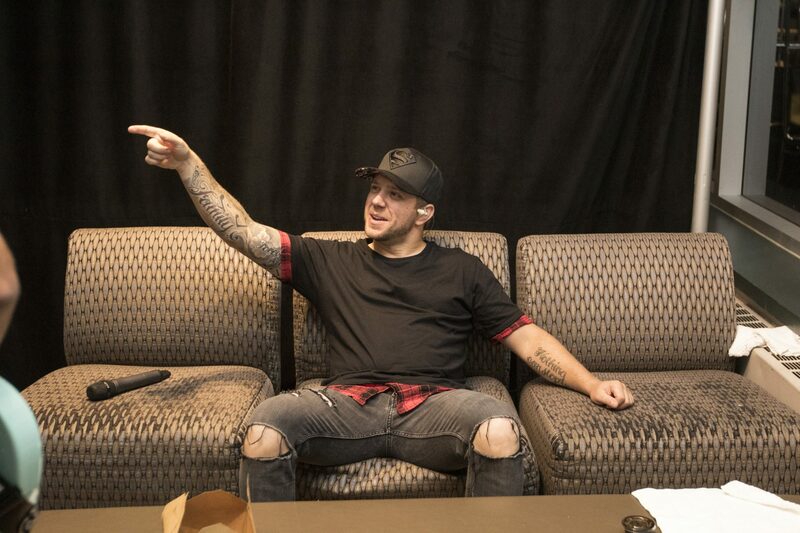 River Town Saints singer Chris Labelle prepares for his band’s performance on a double bill with Kira Isabella at the Turret last Friday, Sept. 29. 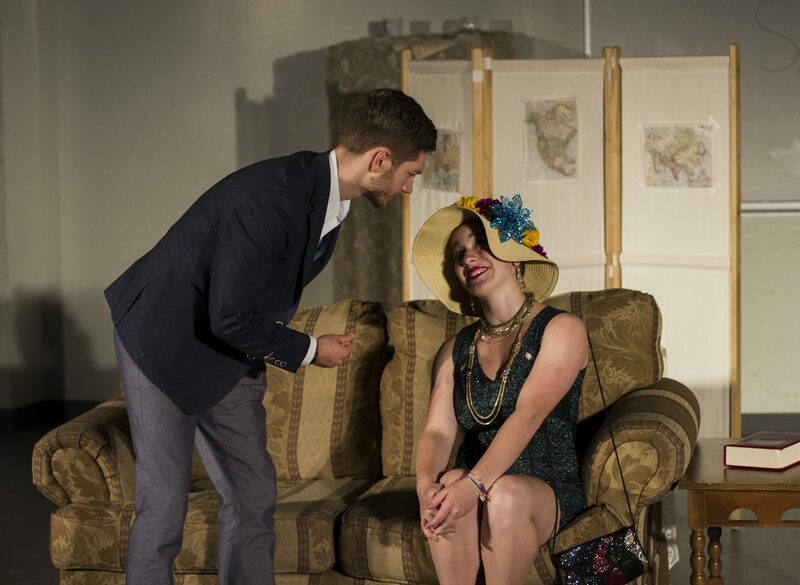 This week on Sept. 22 and 23, Student Budget Productions put on a well-received production of School For Scandal at Wilfrid Laurier University. 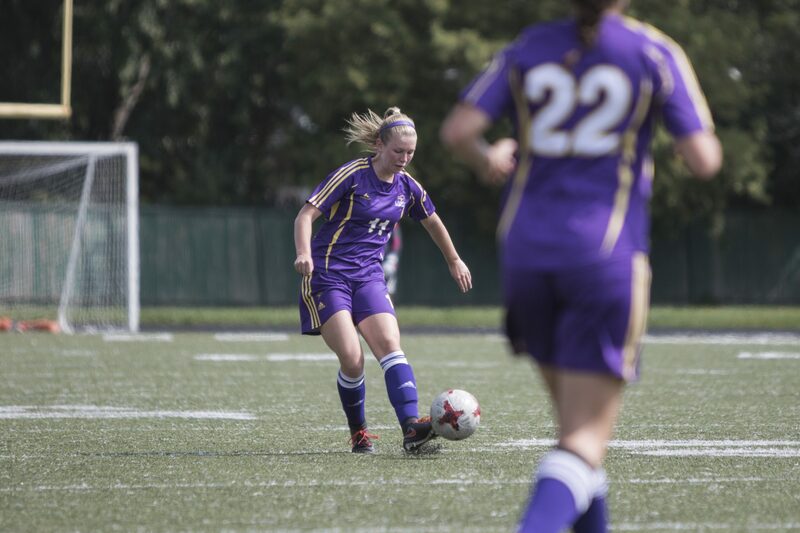 The Golden Hawks faced off against both Western and Windsor but, unfortunately, were not able to create enough scoring opportunities. 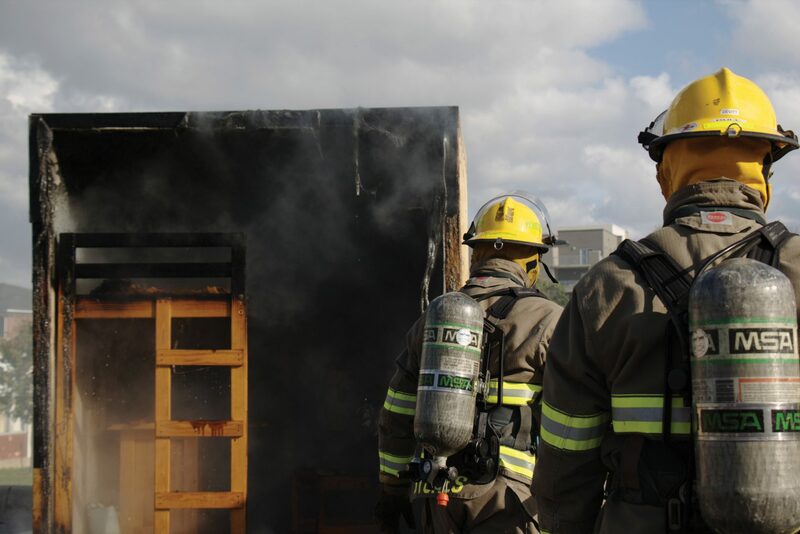 During Laurier orientation week, local fire fighters demonstrate putting out an oil and water fire. Michael Knevel scrambles in the first game of the 2017 season. 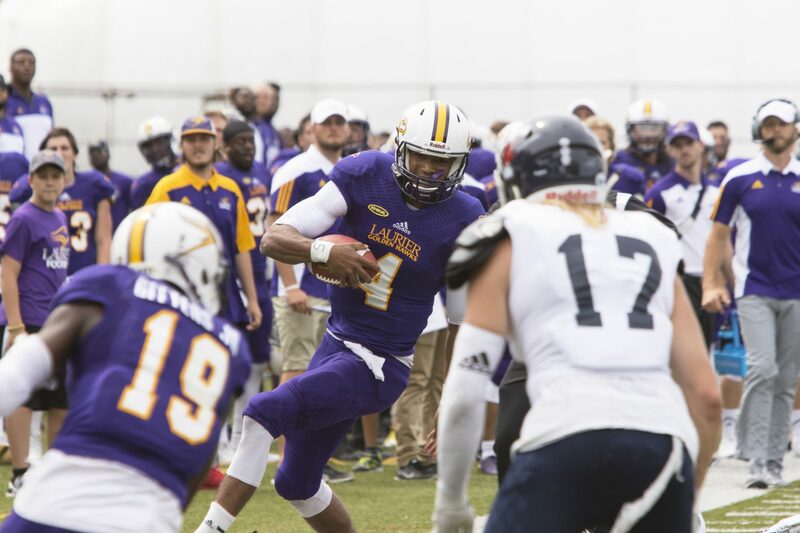 Laurier dominated the match winning 39 – 0 against University of Toronto.